Welcome to another special edition of Watch Out. 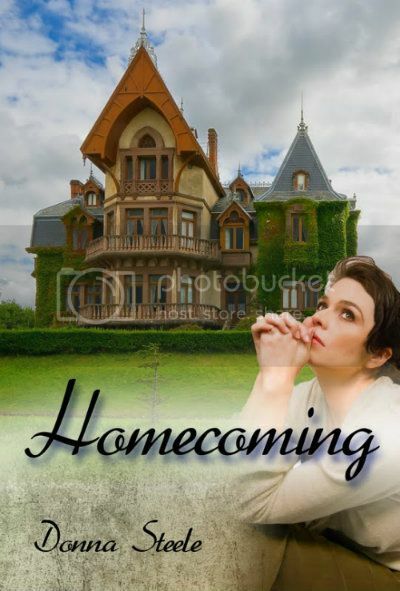 Today I’ve got author Donna Steele visiting and talking about Homecoming. Her latest release from Rebel Ink Press. My latest story, Homecoming is a departure for me. I write science fiction and paranormal romance. But this story – women’s fiction – demanded some time and I listened. First, this is definitely not autobiographical. I have the world’s best sister and I’m the one with tons of cousins that we saw every Sunday, while eating watermelon and playing in the woods. But the story does have some basis in fact. We did have to clean out the family home eventually and it was overwhelming – not just because of the sheer volume of stuff, but also the questions we could no longer ask. There were strangers in a lot of those photos, and who knew why that little thing was kept. Did it have a meaning that we were never told? Was it handed down from an ancestor, or won at the county fair? No one knows. My kids have forced a vow that I will not leave such a Herculean task to them, but then I didn’t grow up in the Depression where everything was recycled eventually and nothing was thrown away because it might be needed “someday.” I hope we became a good cautionary tale for our parents’ friends to go through their things and make notes or tell the story behind some object. Or even to go ahead and get rid of it now or pass it on while you can enjoy someone new owning it. Once again I found myself writing a strong woman who had to be pushed into her strength. That’s a true heroine to me, someone who has to find out for herself that she can handle what’s thrown at her and emerge even stronger than she would have believed. “Yes, it would be.” She seemed unaware of the wistful note creeping into her voice. “No, you’re right. It would be the best room. It’s room I always wanted.” The tone caught and held him. “Sure.” He slipped into his chair at the table and observed her moving quietly around the kitchen. She never accepted his help at lunch. Dinner they handled together. You’d think they really were living together. He hadn’t tried to kiss her again, though not from lack of desire. Maybe it was her move next. She’d made a pasta salad with chicken and iced tea. Good, he needed something cool after painting in the sun all morning. Surprised he listened as she returned to the subject. He wasn’t going to bring it back up. “Of course it is.” She took a sip of the tea. “I really thought I would get it. At twelve I thought of it as the fairy princess room. I had it all decorated in my mind.” She sat silent for moment. “So Mattie moved the sewing machine in. The damn machine had been in the hall all my life, used as a catch all table, but she decided she needed a real sewing room. I have no clue if she could thread a needle, I never saw it happen. Other things began to make their way into the room, her things, to ensure I understood it would never be mine. It’s great to meet you. My MIL doesn’t throw away anything and I can imagine wondering about photos etc at a later date. We took a day to just do photos – first it was if it doesn’t have people-toss it, then if it doesn’t have people we know-toss it, by the end of the day Sis said, if M&D aren’t doing it, toss it. I didn’t think we’d ever quit laughing. Exhausting day, but great memory! We took a day to just do photos – first it was if it doesn’t have people, then if it doesn’t have people we know, by the end of the day Sis said, if M&D aren’t doing it, toss it. I didn’t think we’d ever quit laughing. Exhausting day, but great memory! I know exactly what you’re talking about when it comes to the keeping everything. Great Excerpt I’ll have to add this to my TBR list. Thanks! It taught me a lesson but I still keep too much. Thanks! I’m running all over the place seeing everyone’s post – great fun. Thank you so much for the post. Great job. Thanks. I’m still new to this blogging so I press the buttons with fear!